A lot of people think that they do not need a professional window cleaner in Houston, Tx because they have a maid that cleans their home. First of all maids do a fantastic job of cleaning your homes for the most part, but they normally do not do a great job on the windows. This is because they rely on windex and paper towels to clean the windows. Basically, maids spray the window with windex and smear the dirt around with paper towels. This is not an ideal way to clean windows because you are basically just moving the dirt around the window. 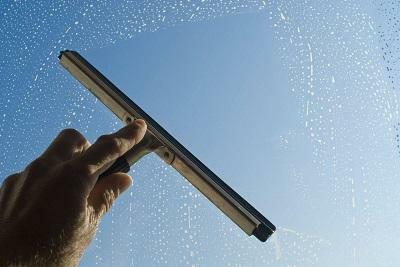 The proper way is to scrub a good cleaning solution onto the window, then squeegee off the dirty water. At SMC cleaning services we can provide you with a professional window cleaner in Houston, Tx to get the job done right. Another reason why you need a professional window cleaner is because maids tend to not be able to clean the outside windows with the windex and paper towel method. You can get away with using windex and paper towels on the inside windows sometimes, but not on the outside windows. The amount of dirt on the windows prevents maids from using this method. The last reason why you need a proffessional window cleaner in Houston, Tx is because maids cannot normally reach your tall windows safely. It takes the right equipment to get the windows clean and not damage your walls. Here at SMC cleanining services, we use all the appropriate poles and ladders to clean your windows both safely and to keep from damaging your home. Contact SMC cleaning services today at 281-899-0402 or fill out the form below for a free quote from one of our professional window cleaners.